Patients for total knee replacement surgery and total hip replacement surgery need a specialized therapy for edema therapy and DVT prevention after surgery. Specifically, it can enhance the edema therapy and alleviate pain to a very appropriate level so that cold therapy and air massage can be applied at the same time. 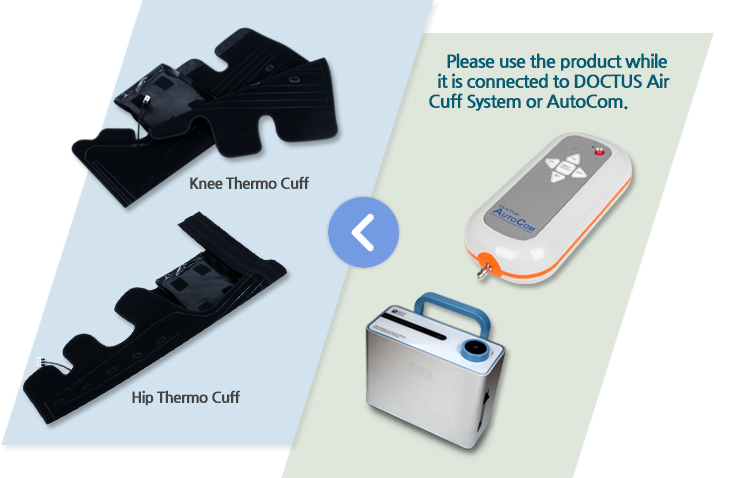 Furthermore, Thermo Cuff has a unique design for edema therapy and DVT prevention for patients who under go total knee replacement surgery and total hip replacement surgery. 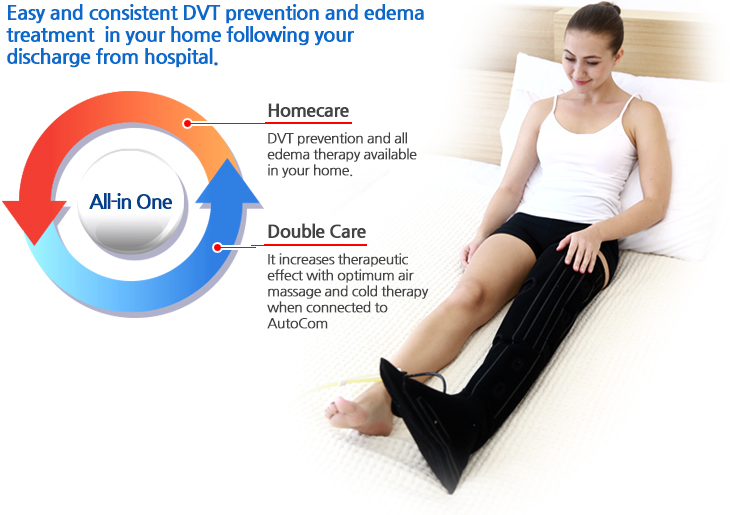 Also, Thermo Cuff guarantees a very outstanding effect with the optimum air massage through cold therapy for edema therapy after surgery for your home care.